A Breath of Air: A new opening in the unlikely surrounds of Tung Chung, Mint & Basil is a bright, airy neighborhood joint that’s perfect for a relaxed weekend lunch. 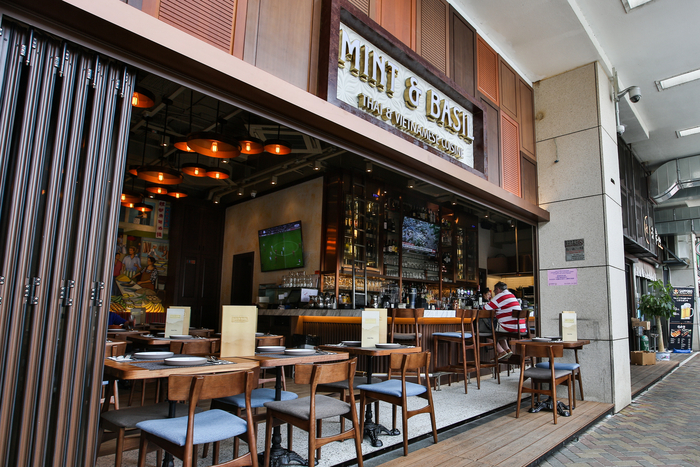 It’s the second Mint & Basil outlet — the first is in Sai Wan Ho. Look & Feel: The indoors meet the outdoors in this easy, breezy space. The indoor dining room is simply but comfortably decked out in burnished woods and cozy seating, and folding French windows open onto the restaurant’s huge alfresco area which features plenty of seating and (almost) beer garden vibes. On the Menu: Rather than confine itself to one particular style of cuisine, Mint & Basil offers a crowd-pleasing array of classic Vietnamese dishes and creative spins on Thai favorites. Best of all, the food here boasts no MSG. Start with the refreshing Thai style pomelo salad ($78), and the pleasantly flavorful phad Thai (Thai noodles, $118 with shrimp, $108 with chicken). For something a little different, the Thai style yellow curry crab meat with bread ($185) is an interesting spin on the traditional Asian curry, but has just the right flavor and texture to pull off the creativity. If you still have space, there are an array of desserts available, including the all-time favorite sticky rice with mango and coconut sauce ($78). The food menu is supplemented by a long drinks list full of fun cocktails spiked with fresh ingredients – and a number of fresh juices and smoothies. Jeng: This feels like a real neighborhood joint, and the pleasant atmosphere and good grub encourages diners to linger over a long weekend meal. 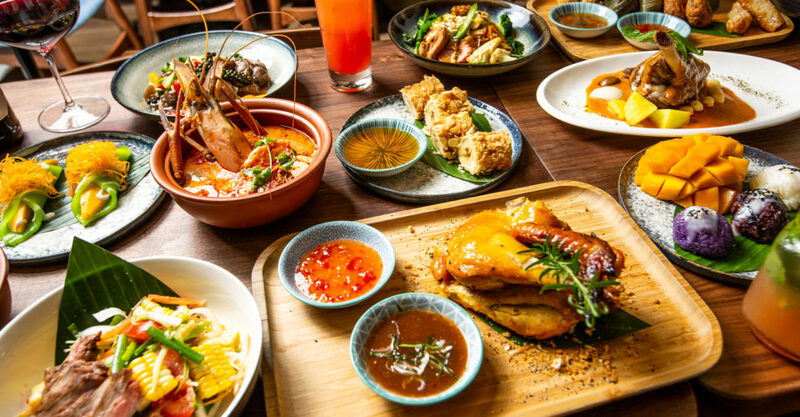 Not so Jeng: It’s in Tung Chung, so unless you’re already here, it’s a bit of a trek – and the restaurant can be a little tricky to find if you don’t know where you’re going. Meet the Chef: Thai Executive Chef Saksit has curated a menu of fresh, quality dishes that bring a touch of real Thai cuisine to Hong Kong. Great For: Long, lingering meals with friends (or family). FYI: Mint & Basil is pet-friendly, so you can bring your furry friend along for a day out.